NYC, 03/11/2019, 7:00PM. Novel Sounds: Southern Fiction in the Age of Rock and Roll. The 1950s witnessed both the birth of both rock and roll and the creation of Southern literature as we know it. 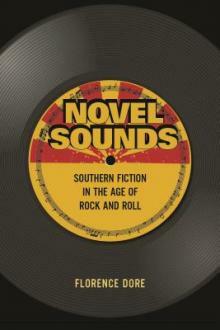 Around the time that Chuck Berry and Elvis Presley put their electric spin on Southern vernacular ballads, a canonical group of white American authors native to rock's birthplace began to write fiction about the electrification of those ballads, translating into literary form key cultural changes that gave rise to the infectious music coming out of their region. Florence Dore tells the story of how these forms of expression became intertwined and shows how Southern writers turned to rock music and its technologies--tape, radio, vinyl--to develop the "rock novel."